It's official! Our sign is UP! It's official! Our new sign is up in our future location, next to the Hungry Diner on Route 12 in Walpole! 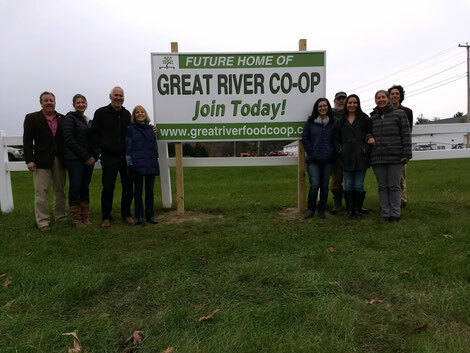 Those in attendance for the photo are from Left to Right: Steve Fortier, Board President Kim Mastrianni, Tedd Benson, Christine Benson, Co-op Volunteer Gretchen Markiewicz, Board Member Bruce Bickford, Board Member Ali Trow, Volunteer Judy Trow, and Sean Fortier. Have you seen the new sign yet?